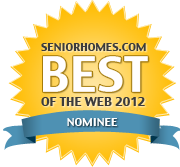 There are many people, whether elderly or disabled, who have mobility constraints. As a result, these people need someone who can help them into or out of chairs, beds, and even baths. Caregivers, whether they are professionals or family members, offer their time and love to the people they help take care of - and at times the work can be physically exhausting, or even injurious. Some caregivers help people who are much larger than them or people who are overweight, and a simple task such as helping someone up from a chair can cause great strain on the caregiver's bodies. Fortunately for caregivers, there are lift chairs available that can help with these tasks. Lift chairs, especially electric ones, can be liberating and dignifying for the elderly and disabled. These chairs help them feel as though they do not have to constantly rely on their caregiver for help and support. If they are lying in a position in the chair and feel that they need to adjust, they can use the chair to help them up so they can adjust their body. Electric lift chairs are most helpful because they ease the person up to their feet without putting excess pressure on their backs, muscles, and joints that cause them pain or problems when getting up. A lift chair's stability and structural durability are factors that should be considered by the caregiver or person purchasing the chair. A chair that tips easily or sags will not offer support to an elderly or disabled person. 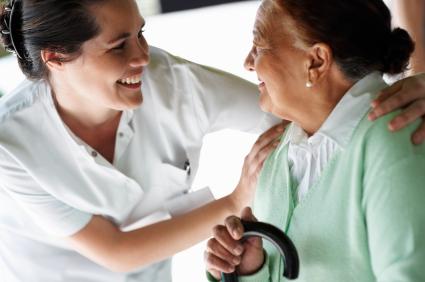 In fact, they can cause worse injuries to the person needing help and to the caregiver. Often times, elderly people have surgery on their hips or knees, making sitting in a chair quite a difficult and painful task. If a doctor restricts their range of motion, this can be made even more difficult. With a lift chair, the person does not have to place immediate pressure on their knees or hips when standing, and the pressure is eased on as the chair helps the person up out of the sitting position. This will allow the person to heal more quickly as they are not causing more stress on their already weakened body. These chairs are also helpful for nursing home and hospital staff members, as they often have to help patients up to go to the bathroom or transfer to a wheelchair to move them to different places. A lift chair can help a person feel better about sitting and relaxing in a chair because they will not have to feel as though they will not be able to get back up. 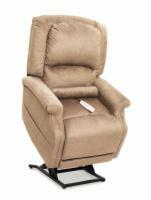 The impaired person can rest and nap comfortably in the reclined position, and wake completely rested. Heavy duty lift chairs are often helpful for persons who are overweight and can handle loads as high as 500 to 600 pounds. Caregivers can relax a little more with patients who use or own lift chairs. They can also move onto their other chores without constantly worrying about that person. These caregivers will have to worry less about sustaining injuries such as carpal tunnel and lower back injuries while helping someone, and will not have to worry about falling themselves while getting the elderly or disabled person out of the bed or chair.